Whether you agree with the decision in UFC 202’s main event or not, there’s no denying that the card was a historic one. 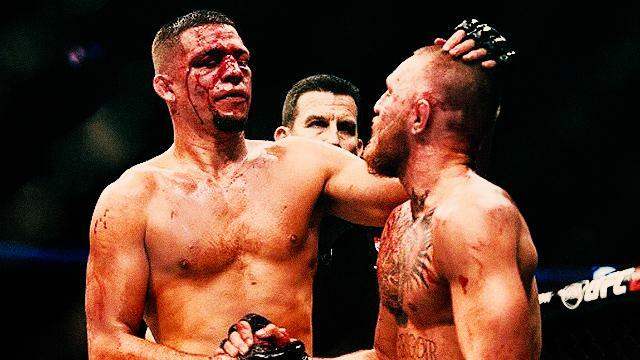 Headliners Conor McGregor and Nate Diaz did not disappoint in their rematch as they put on a five-round instant classic inside the Octagon. Both men stood toe-to-toe, trading shots and holding their ground. It was a chess match with very high stakes, and in the end, the Irishman walked away victorious. Prior to that main event, Anthony “Rumble” Johnson, Donald “Cowboy” Cerrone, and Mike Perry all treated fans to first-round finishes of jaw-dropping proportions. It was a crazy night in Las Vegas, and here are the numbers to prove it. People in attendance at T-mobile Arena to watch UFC 202 live. The gate earned at UFC 202, which stands as the fifth highest in UFC history. PPV cards that McGregor has headlined that exceeded $7 million in earned gate. UFC 194 (Aldo vs. McGregor) - $10,006,249, UFC 196 (McGregor vs. Diaz I) - $8,100,000 (approx. ), UFC 189 (McGregor vs. Mendes) - $7,201,648, and UFC 202 (McGregor vs. Diaz 2) - $7,692,010. Significant strikes landed by Nate Diaz. Significant strikes landed by McGregor. Number of total significant strikes landed by McGregor and Diaz. The Irishman had 166; the American had 164. The only fight in UFC history to have had more significant strikes was Donald Cerrone vs. Nate Diaz at UFC 141, where 334 total significant strikes landed. Total significant leg strikes McGregor landed compared to Diaz’s nine. Significant strikes landed in the clinch by Diaz; McGregor had 27. Number of takedowns landed by Diaz. The number of times Anthony “Rumble” Johnson has won via KO in 13 seconds in the UFC. The first was in his UFC debut against Chad Reiner in 2007. Number of KO wins for Johnson, tied with Anderson Silva for the second most KO wins in UFC history. Vitor Belfort has the most at 12. Number of knockout wins for Johnson that came in under a minute. He is the only UFC fighter to have five KO wins in under a minute. Percentage of Donald Cerrone’s welterweight wins that have come via KO. He’s now 3-for-3 in KOs as a UFC welterweight.